Project is created, we have to validate it so that defining a virtual robots.txt is possible. 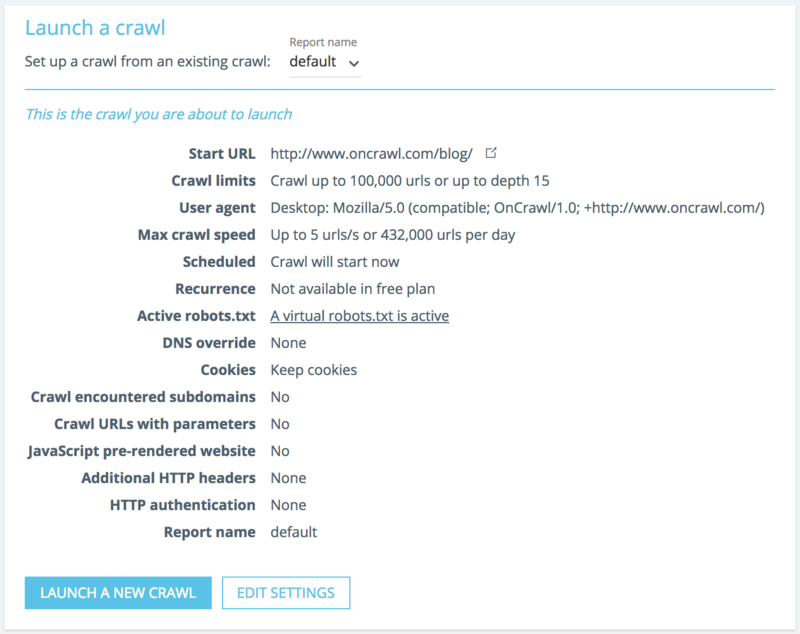 It is now time to hit the "set up a new crawl" button. 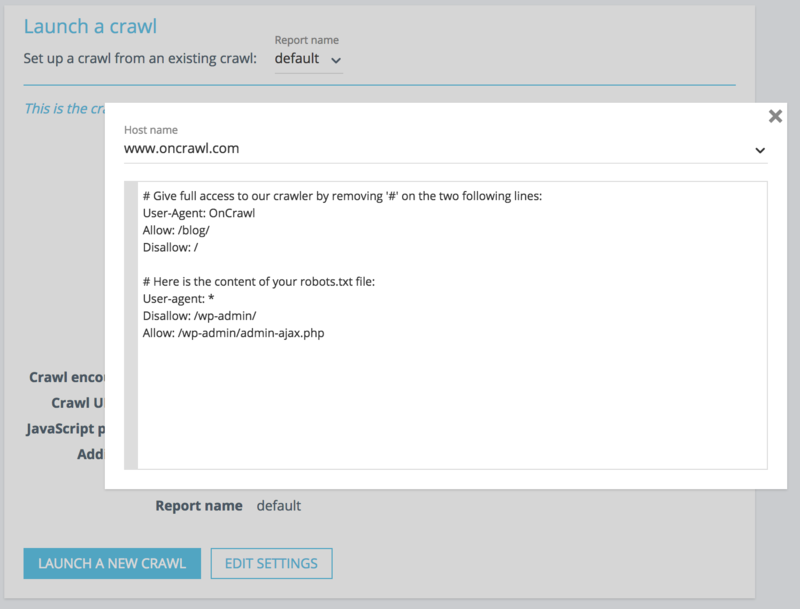 Configure your crawl as you need. We can now save the configuration. At this time, a check is performed to ensure that our bot will be able to crawl the website with the given settings. For example, if the start URL is not allowed by the robots.txt file, you will have an error. Make sure the start URL is allowed by the virtual robots.txt file!